Energy-efficient, dimmable LED lamp — Philips LED L Prize Lamp is the smart LED alternative to a standard 60W incandescent A19 lamp with 900 lumens. The unique lamp design provides full encompassing light with only 10 watts of power. Ideal for ambient lighting in hospitality, residential and government buildings. Smooth dimming to 10% of full light levels. 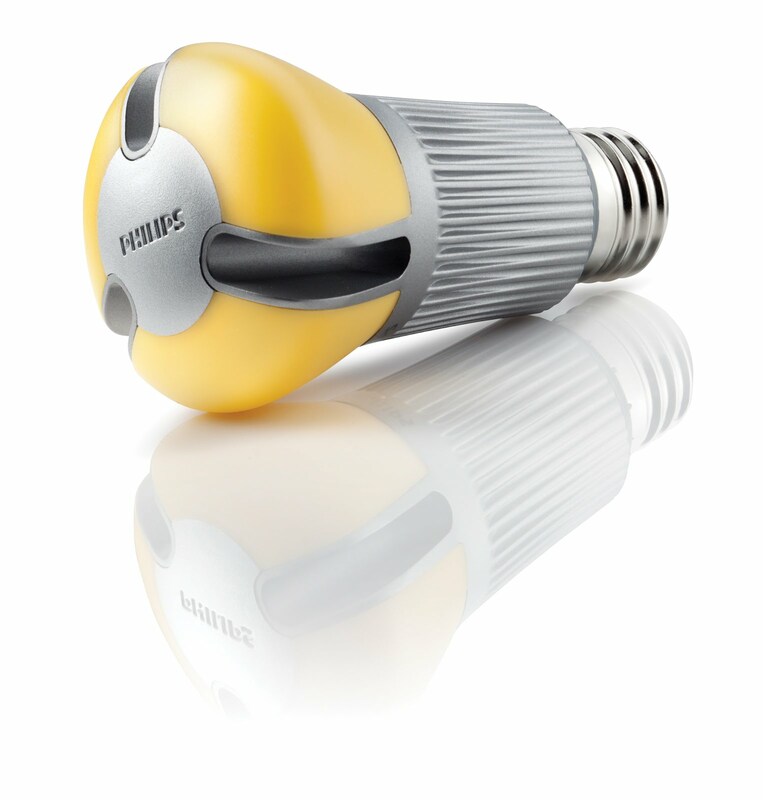 Remote phosphor (yellow) disappears when lighted to create even, soft light.